American Bar Association (ABA) is the largest voluntary organization of lawyers and law students in the United States and the world. The ABA was founded on August 21, 1878. Today, it has grown to more than 400,000 members and 3,500 entities. The ABA is known for setting academic standards for law schools and developing model ethical rules for the legal profession. The ABA created the American Law Institute (ALI) and the Conference of Commissioners on Uniform State Laws, which encourages uniformity of statutes and judicial decisions to promote the fair administration of justice. The ABA created and maintains ethical standards for the legal profession called the Model Code of Professional Responsibility (1983). Several versions of the Model Code of Professional Responsibility have been adopted by 49 states and the District of Columbia. Although the State of California did not adopt the model rules, several sections of the California Rules of Professional Conduct closely follow the ABA version. Discounts on brand-named products and services, member-only pricing at the ABA Webstore and through ABA Advantage. ABA members are encouraged to join sections which range in size from 3,500 members to more than 50,000. The ABA sections are divided according to specific areas of the law and focused on topics such as ethics and professional responsibility, judicial selection, and lawyer referral services. Additionally, ABA members can join various committees concerned with topics such as public interest law, elder law, or malpractice. The American Bar Association has accredited certain private organizations so that these organizations can award specialty certifications to attorneys in specialty fields of law. Each state has its own rules and regulations for advertising the designation including certain disclaimers that must accompany the communication. Creditors’ Rights - American Board of Certification. Elder Law - National Elder Law Foundation. Estate Planning Law - National Association of Estate Planners & Councils (NAEPC) Estate Law Specialist Board, Inc.
Family Law Trial Advocacy - National Board of Legal Specialty Certification (formerly the National Board of Trial Advocacy). Juvenile Law / Child Welfare - National Association of Counsel for Children. DUI Defense Law - National College for DUI Defense, Inc.
Social Security Disability Law - National Board of Legal Specialty Certification (formerly the National Board of Trial Advocacy). The ABA has published more than 1,000 books, magazines, and journals. With over 1,000 online forums, the ABA provides members important networking opportunities. ABA publications include Student Lawyer magazine, numerous books authored by lawyers, periodicals, journals and newsletters pertaining to the latest legal topics and information. Each month members of the ABA receive the ABA Journal which is also available online. The voluntary bar association of lawyers and law students are not specific to any jurisdiction in the United States. Membership is available to lawyers, law students, and others interested in the law and the legal profession. Lawyers - For lawyers currently practicing in the United States, the ABA Lawyer Membership gives licensed legal professionals access to current events and information, career resources, and networking opportunities with other legal professionals. Law Students - Law students can join the ABA today to start building their professional network. The ABA Law Student Membership offers law students access to affordable special interest groups with webinars, networking events, discounts on study aides, bar review courses, valuable health insurance options and numerous publications to help foster legal educations. Students will also benefit from the intrinsic value of a membership, recognized by colleagues. This can be particularly helpful when applying for internships, fellowships, clerkships, and public service volunteer opportunities. Student Associate - The ABA Student Associate Membership provides an opportunity for persons who are ineligible to be Lawyer or Law Student access to membership benefits. This includes persons enrolled in college or university level post-secondary educational studies, and those who have an interest in the work of the American Bar Association. ABA Associate Membership - Membership in the American Bar Association is open to all enthusiasts to the promotion of the law. 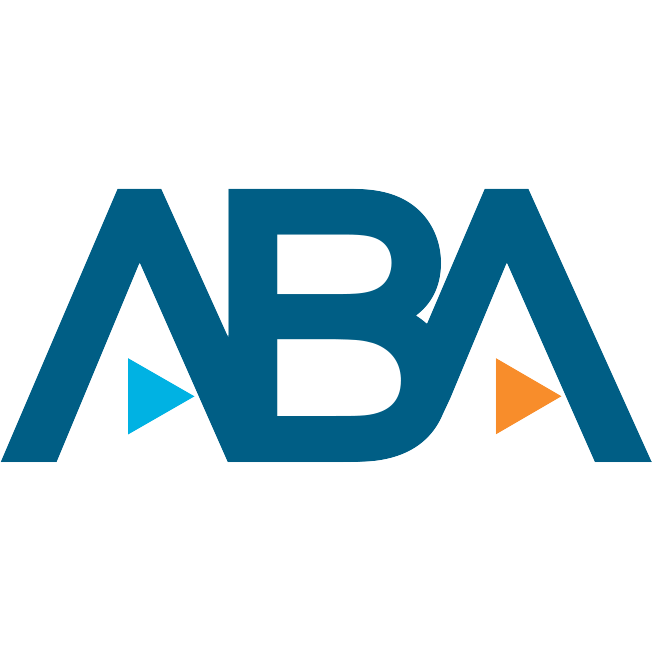 With an ABA Associate Membership, a person can join and have access to member benefits, if they are a lawyer licensed outside the U.S., a legal educator, a paralegal or a legal assistant, a law office administrator, a law librarian, a consultant, or someone seeking access to the wealth of ABA benefits to develop a competitive advantage in a law-related field. Another benefit of joining the Amercian Bar Association is access to the features in the ABA's Legal Career Center. The center makes recruiting top attorneys for your organization easy. The email feature gives law firms and other organizations the ability to reach passive job seekers who are not actively looking for a new career. The American Bar Association’s Legal Career Central gives the user the ability to reach the most coveted group of candidates in one place. search the resume database containing more than 9,700 resumes and contact qualified candidates proactively. The national headquarters for the ABA is located in Chicago, Illinois, with another an additional office in Washington, D.C.
ABA Journal - The ABA Journal is the flagship magazine of the American Bar Association, covering the people, trends, and finances of the legal profession. The ABA Journal website is updated daily with breaking legal news. The ABA Journal magazine is read by half the nation's 1.1 million lawyers. ABA Consumers' Guide to Legal Help - Provided as a public service by the American Bar Association's Division for Legal Services findlegalhelp.org provides information on finding a lawyer, hiring a lawyer, paying a lawyer, and finding free help. The committee provides support and assistance to local public service lawyer referral programs that provide information on appropriate, quality legal services to the public. Also, the ABA Lawyer Referral and Information Service offers a number of resources for local bar leaders and lawyer referral programs. ABA TECHSHOW - The ABA TECHSHOW brings lawyers and technology together each year. The conference includes seminars and CLE courses on using the iPad, effectively utilizing practice management software, technology solutions for solo and small firm attorneys, how to use the cloud and social media and the best apps for attorneys. Attendees also get access to the EXPO Hall where legal technology vendors demonstrate their products and services. The ABA TECHSHOW 2016 will by on March 17-19, 2016, at the Chicago Hilton. It will celebrate the 30th anniversary of TECHSHOW. ABA on Wikipedia - Learn more about the American Bar Association including the history of the ABA and recent criticisms. ABA's Criminal Justice Section - Learn more about the Criminal Justice Section of the ABA which was founded in 1920. The Criminal Justice Section of the ABA has more than 20,000 members including criminal defense lawyers in private practice, state and federal public defenders, prosecutors, appellate and trial judges, law professors, correctional and law enforcement personnel, law students, and other criminal justice professionals.